Are you really busy in your business or on your daily job ? 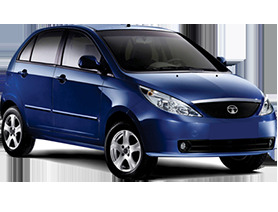 If yes, then plan today to hire a taxi for outstation for your dream destination in India, either for a short trip or for a long winter vacations. Travelodesk travel associates are ready to serve you for your upcoming family or corporate outstation tour for popular tourist destinations in India. Did you just search “ outstation taxi provider near me” , If yes, then for sure, you have reached at the best online cab booking portal to take you to the unexplored and never visited cities of India. Sometime travel planner is confused about where to go or when to go ? We have a team of trip advisors who have actual india trip travel information, would guide you as per your interest and budget to travel in India. Don’t wait to book your next trip to snowy mountains or green hill stations or adventurous trip to untamed roads, travelodesk is here to help you and finalise next trip plan. Just drop us a message by email or over the phone, we would love to serve you for your upcoming trip.